Today the "Creative Knockouts Challenge Blog" has posted a"Happy Birthday" Challenge. 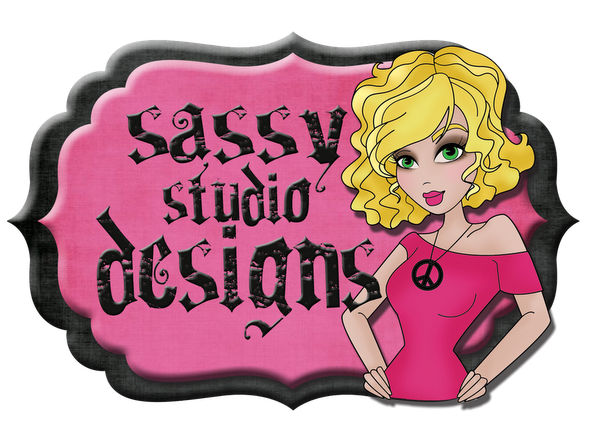 Our amazing sponsor this week is "Sassy Studios" and they graciously donated two of their amazing images for the design team to use. I couldn't decide which way to go so decided to use them BOTH! I have created a birthday card for my husband. I used "Handy Sassy" on the front and "Birthday Sassy" on the inside of the card. I showed it to my two son's age 15 and 25 and they both got big grins on their faces. I am sure my hubby will love it as well. So get your creative juices flowing everyone and lets see a lot of Birthday cards over at "The Creative Knockout's" Blog this week. Here is "Handy Sassy" saying "Let's Get To Work" My hubby will give me an eye roll when he reads it because he is NOT a Mr. fix it. "Get to work eating CAKE" I think he will like Sassy don't you???? 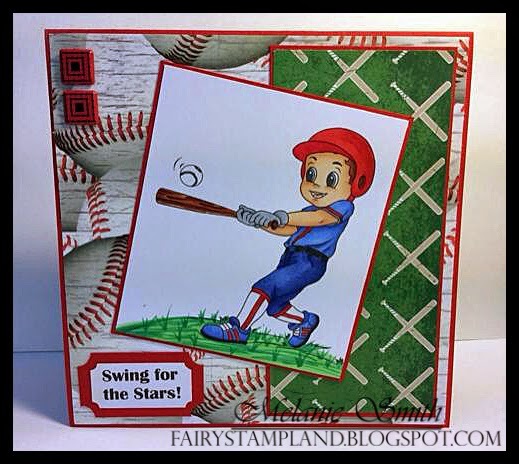 Corner rounder and word window punches by Stampin Up! Today I have an EXTRA special card to share with you. This card was a labor of love and could not of been completed it without the help of a dear friend, Julie Price. I was struggling with the Martha Stewart Punch set for the first time, and even You Tube couldn't help me. So I went online to try and find someone who actually used them and luckily Julie was a friend of mine on Facebook and I was able to request her assistance. She is such a gem. Thank You Julie for the wise words of wisdom! 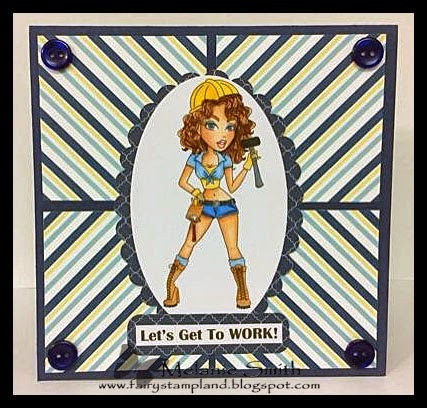 This DT card was created for "Through the Craft Room Door" Challenge blog. It is a "Anything Goes" Challenge so make sure to check them out and enter your current project. Our awesome sponsor this week is "Fitztown" and I adore their Fae Fantasy collection. This stamp is "Fae #2" and you can purchase her HERE. 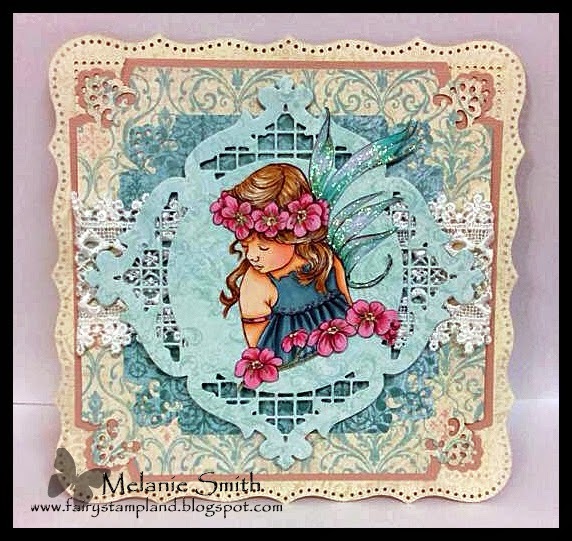 I have a new card to share today made from one of the NEW RELEASE Stamps over at "The Paper Nest Dolls Website. 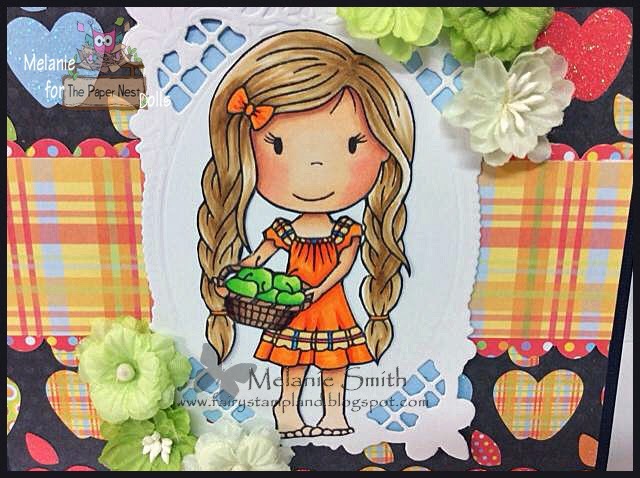 This stamp is called "Country Apple Ellie" and was so much fun to color. As soon as I saw her I called up my mom and we went hunting for some cordinating paper or embellishments with APPLES on them. It was such a fun evening hunting for Apples. The first two stores didn't have much but then at the last store we found this adorable line of DCWV paper. Here is a close up view of sweet Ellie. 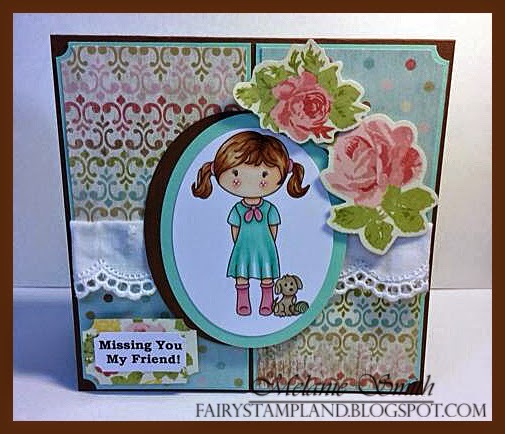 View my design team card over at the Paper Nest Dolls Challenge Blog. We would love for you to play along in Challenge 15 which starts today and ends on August 1st. It is a "Anything Goes" Challenge so all projects are welcome. Crafty Boots Challenge - Picking Apples in the "Summer"
Open Minded "Proud as a Peacock!" Design Team Card! Today over at "Open-Minded Crafting Fun Challenge Blog" We have a super FUN themed challenge starting today. Our challenge theme is "Vacation Related". I traveled a lot as a child since my dad was in the military and when we were stationed in England we got to visit many castles and estates. At each destination we would almost always run into a peacock. That is why I chose this challenging image by Ikes Art. They are just one of the amazing digital artists sponsoring us this week over at the Open-Minded Blog. Make sure to color up your favorite "Vacation Related" image and enter our challenge HERE. 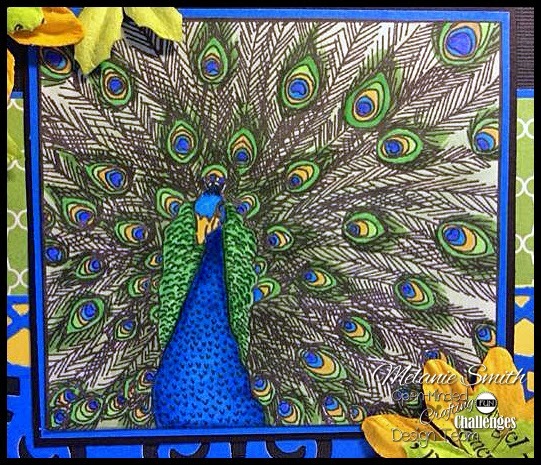 I had so much fun coloring this peacock. It is a very detailed image and was quite challenging. So Artful Challenges - Feathers! The following are our other amazing sponsors this week and the links where you can purchase their images. Please check out all the Design Team's work over at the challenge blog to see art work using these amazing images. Creative Knockouts "Friendship" Challenge Design Team Card. Isn't she just adorable? Check out all the images over at Crafty Sentiments! Through the Craft Room Door ~ Pretty as a Princess! I hope this new post finds you well. 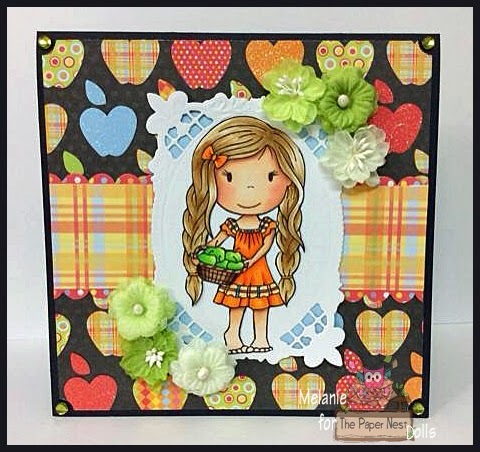 Today over at Through the Craft Room Door challenge blog I have posted this adorable card I made while away on a scrapbook retreat in Hiawassii GA. 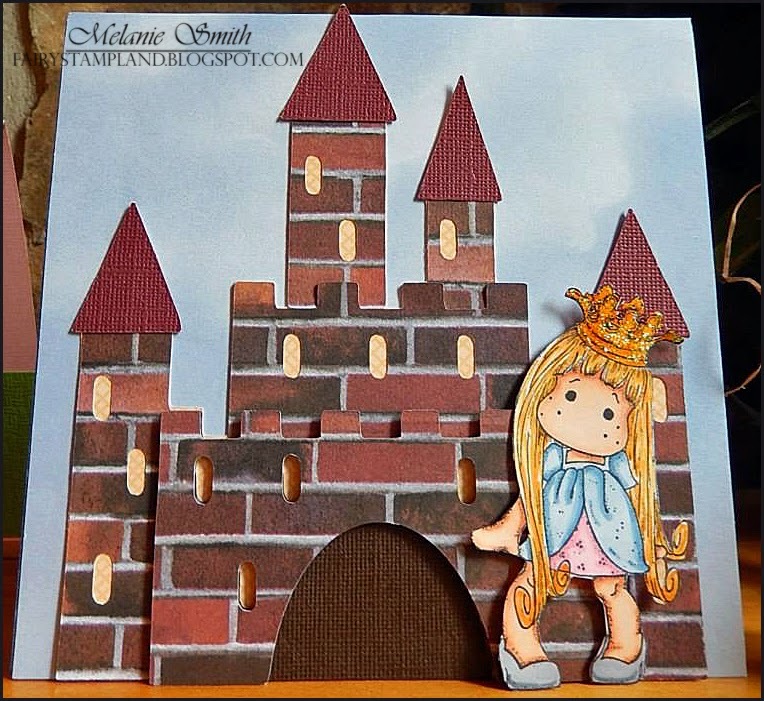 I played with the Cricut machine while there and made this adorable castle card. I imagined it with brick or cobble stone front pieces but didn't have the paper. One of the other ladies there had her scraps with her and gave me just enough to be able to cut out this beauty! She also gave me the cloud paper for a backdrop. It is amazing what scraps can do! Thank you Kris! 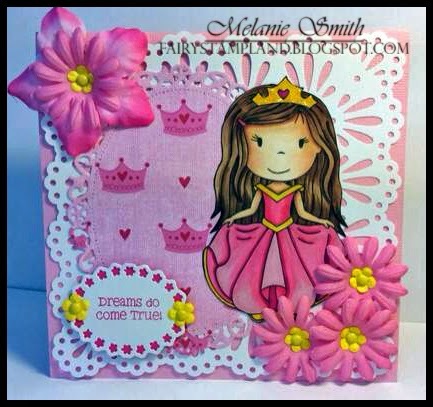 The image I have used here is a Magnolia stamp named "Princess Tilda Curl" from the Once Upon A Time Collection. I have used all scraps in the making of this card and colored the image using Copic markers which are available over at OOZAK, this week's sponsor. Oozak has lots of stamps and supplies and they always have wonderful customer service. Check them out of you get a chance. 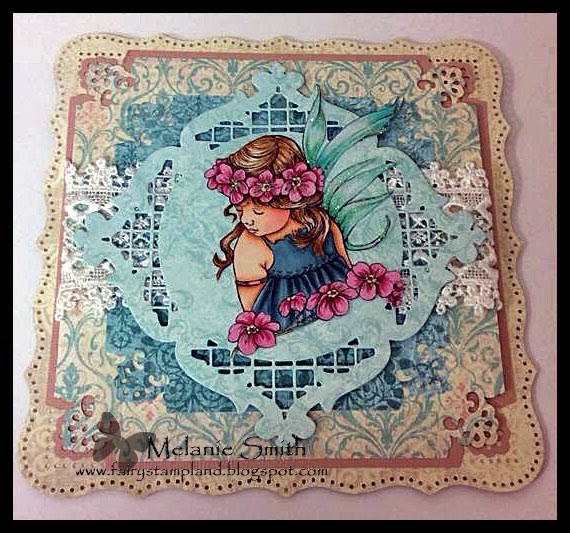 Today I am sharing with you my very first DT card as part of the Paper Nest Doll's Design Team. 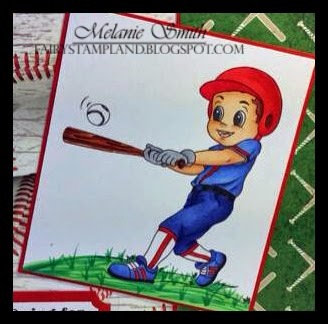 When I began coloring stamps I fell in love with PND's because of the Artist and her husband. They work as a team and put their heart and soul's into their stamp business. This reminded me much of Randy and myself building and working our AVON business together. It is amazing when you can work side by side the one you love. Once you look at the Paper Nest Doll's stamps you will also want to become part of the MAGIC. 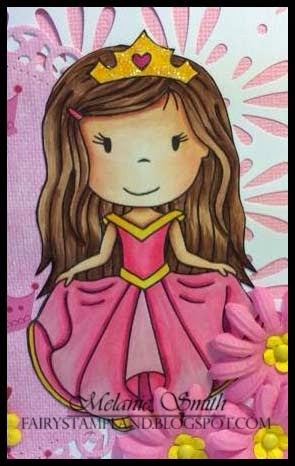 This weeks challenge over at PND's Challenge blog is "Anything Goes" For my card I have used one of the new release rubber stamps named "Princess Ellie" She is 3.75" tall and is available on the website. Click HERE to order her or shop the entire Paper Nest Dolls Online Store. My card is 6"x6" and is titled "Dreams Do Come True" because when I met Christine about a year ago I knew I wanted to practice until I was good enough to be a part of her Paper Nest Doll's team. With many hours of practice and hard work I have MADE IT! Exciting News! I'm the newest member of the Open-Minded Crafting Fun Design Team! I have some EXCITING NEWS to announce. I have been selected to be a part of the Open-Minded Crafting Fun Design Team. This is an amazing opportunity to show off even more of my work. I am excited to work with this talented group of ladies! I was given this adorable teddy bear image to work with by Crafty Sentiments . Make sure to check out all of their amazing images this week and if you get a chance, play along with us over at Open-Minded Crafting Fun! Today I want to share a super FUN card with you. This weeks challenge over at Creative Knockouts is "Child's Play" and we are teaming up with Inky Impressions Digital Images. For anyone who knows me, I do not make many masculine or children's cards. So this was quite the challenge for me in more ways than one ;-). While shopping at Hobby Lobby this week though, I spotted these awesome theme specific papers which totally pulled the theme all together for me. My husband suggested the sentiment which I also knocks this card out of the park. Send A Smile 4 Kids Challenge Blog - Will be sending this card to you KAREN.